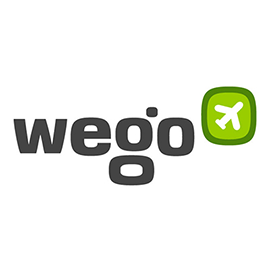 Wego provides award-winning travel search websites and top-ranked mobile apps for travelers living in the Asia Pacific and the Middle East regions. Wego harnesses powerful yet simple to use technology that automates the process of searching and comparing results from hundreds of airline, hotel and online travel agency websites.Wego presents an unbiased comparison of all travel products and prices offered in the marketplace by merchants, both local and global, and enables shoppers to quickly find the best deal and place to book whether from an airline or hotel direct or with a third party aggregator website. Wego is looking for a Mobile App Marketing Specialist in Dubai, United Arab Emirates. If you meet the requirements below, you will be eligible to apply via Digital Marketing Community. Accountable for, and manage a portfolio of Mobile marketing campaigns. Analyze data and identify areas to improve and optimize performance. Design regular reports and provide updates to management. Perform mobile marketing best practices and A/B testing. Bachelor’s degree in marketing, statistics or related. At least 1- year experience in mobile marketing and 3 years in digital marketing. Effective experience in mobile marketing channels and tools. Expert knowledge of app attribution tools. Proficient experience in managing budgets with an ROI focus.